I’m happy to announce that my second novel, entitled Melissa, will be published by Salt Publishing towards the end of 2015. Salt were also the publisher of my first novel, Entertaining Strangers, in 2012. The novel is inspired by a true story. 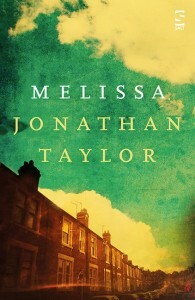 An early draft was long-listed for the Exeter Novel Prize 2013. At roughly 2p.m. on the 9th of June 1999, on a small street in Stoke-on-Trent, a young girl, Mellissa Comb, dies of complications arising from Acute Lymphoblastic Leukaemia. Immediately afterwards, all the residents on the street experience the same musical hallucination: starting with a high-pitched shriek, they feel compelled to leave their houses, whereupon they all hear – or think they hear – the same piece of beautiful orchestral music. Melissa is about this collective musical hallucination, and its aftermath over the course of the following year. Whilst everyone’s gaze seems fixed on what becomes known as ‘The Spark Close Phenomenon,’ nobody seems to notice what’s happening to the family at the centre of it all, as it quietly disintegrates in the wake of Melissa’s death. I’ll be holding a book launch late in 2015 or early 2016 – more details to follow! Thanks for reading, Jonathan Taylor (Lecturer in Creative Writing, School of English).